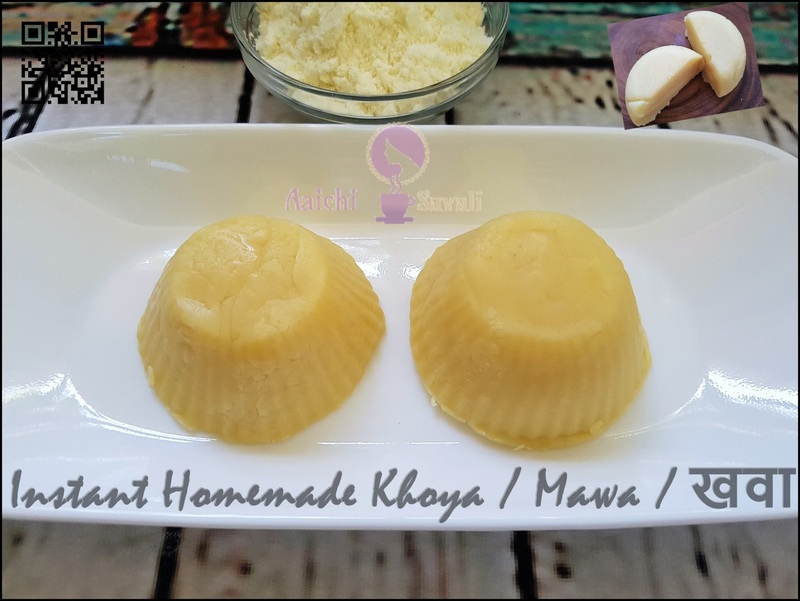 made by using Khoya, in Instant Pot. Gajar ka Halwa or Carrot halwa is an authentic and evergreen Indian dessert made all over India, that goes well for occasions like festivals, celebrations, and parties. There are different methods of making this Carrot Halwa or Gajar Ka Halwa, a traditional method using whole milk, a shahi method is by using khoya, a quick method using condensed milk and a vegan version by using almond milk and almond meal. So today I have prepared it by using khoya, and it smells and tastes heavenly. Also, one most important thing I love to share with you all is that I have prepared it within 10 Minutes in Instant Pot and it came out sweet aromatic and yielded a soft mouth melting halwa. 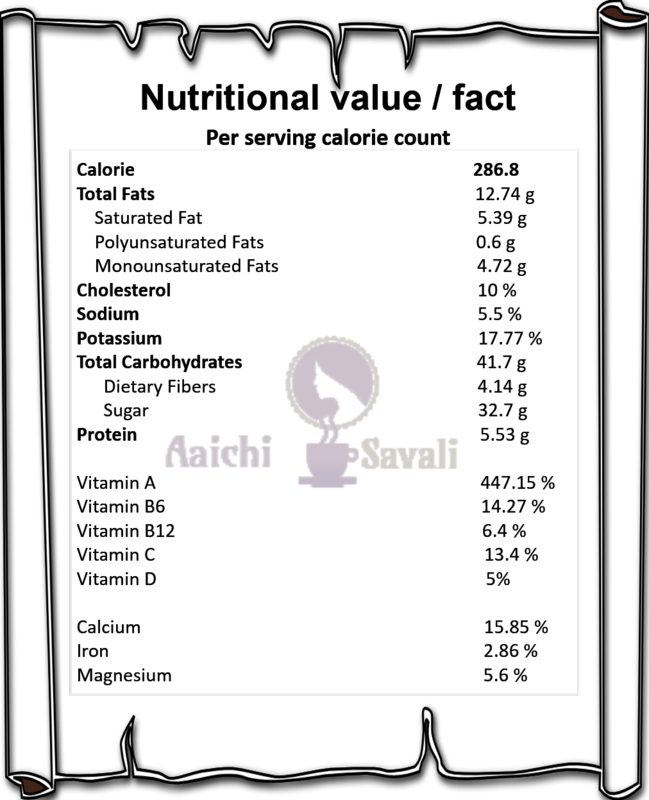 Serve it with a scoop of ice cream; you will love this combination.!! Turn on instant pot and press the saute function and add ghee in the Instant Pot. Add grated carrots and saute them for 2-3 mins with the glass lid on. Add milk and close the lid with the pressure value set to sealing. Set Instant Pot to Manual for 5 mins. Release pressure manually. Open lid and add sugar, khoya, cashews, almonds, cardamom powder, raisins and mix all well. 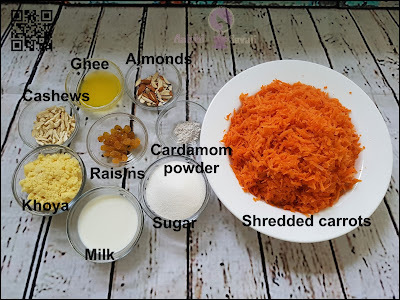 Turn Instant Pot to Saute and cook carrot halwa for 3 to 4 minutes or till the liquid gets evaporated and garnish with sliced almonds and cashews. 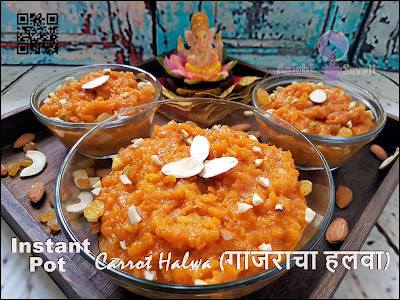 Here, delightful, yummylicious, creamy Instant gajar ka halwa is ready to serve. Serve it with scoop of ice cream. Enjoy!!! Per serving contains 286.8 calories, along with carbohydrates - 41.7 g, dietary fibers - 4.14 g, fats - 12.74 g, proteins - 5.53 g. As it is good source of vitamins and minerals, it contains Vit.A - 447.15 %, Vit.B6 -14.27 %, Vit.C - 13.4 %, Calcium - 15.85 %. Carrots are loaded with Vitamin A and very good source of fiber, Vitamin C and K.
Milk adds some Calcium, protein and vitamin D to this recipe. It is good to eat Carrot Halwa as a dessert. If you do not want to use khoya, you can substitute with an equal amount of milk or condensed milk or almond milk. Thank you. Good to know you liked it. Thank you for stopping by. Yes it is my favorite too. Glad to know that you liked it. Thanks for sharing! I really need to invest in an instant pot - you can make so much!! Thanks a lot Lauren. I am glad to know that it helps you. Really IP works best.